Gene Mingo, a charter member of the Denver Broncos and multi-faceted talent, was finally selected for a spot in the Broncos Ring of Honor last week. The recognition is long overdue, though no-less justified because of the delay. 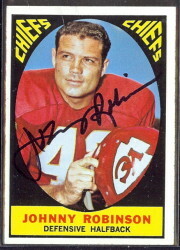 The Denver Post put together a nice piece on Mingo, and his Ring of Fame classmates, Rick Upchurch and Dan Reeves. 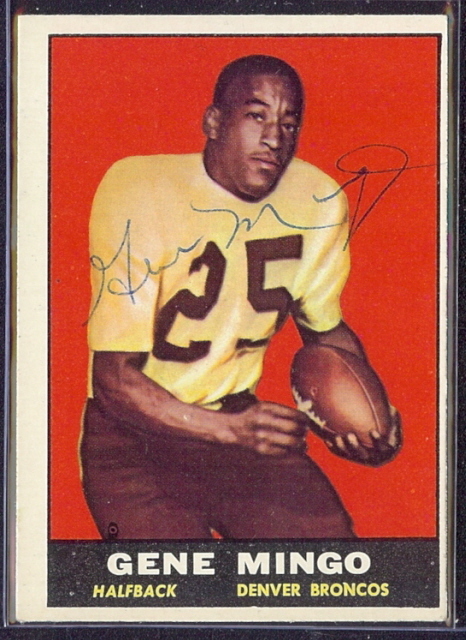 Gene Mingo made a significant contribution to the American Football League, which included playing in the first regular-season AFL game, and registering the first punt return for a touchdown in league history. 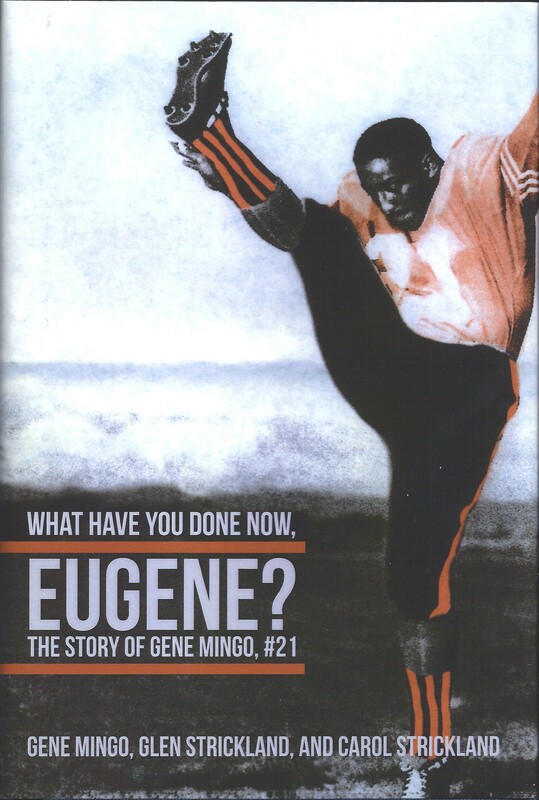 Additionally, Gene Mingo was likely the first African-American placekicker in professional football, and spent time in the Broncos backfield. September 9, 1960. 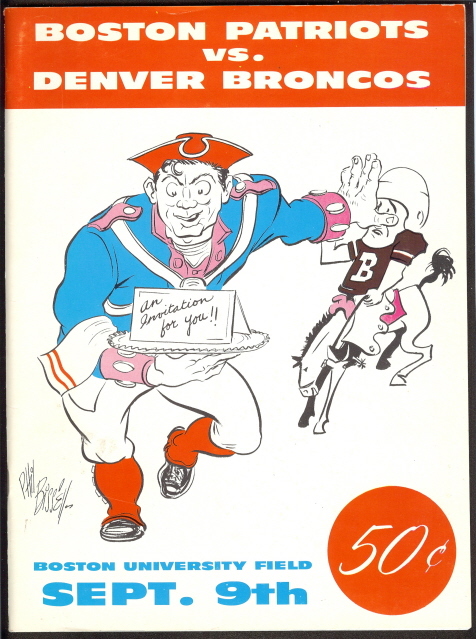 The Denver Broncos vs. the Boston Patriots at Boston University Field. 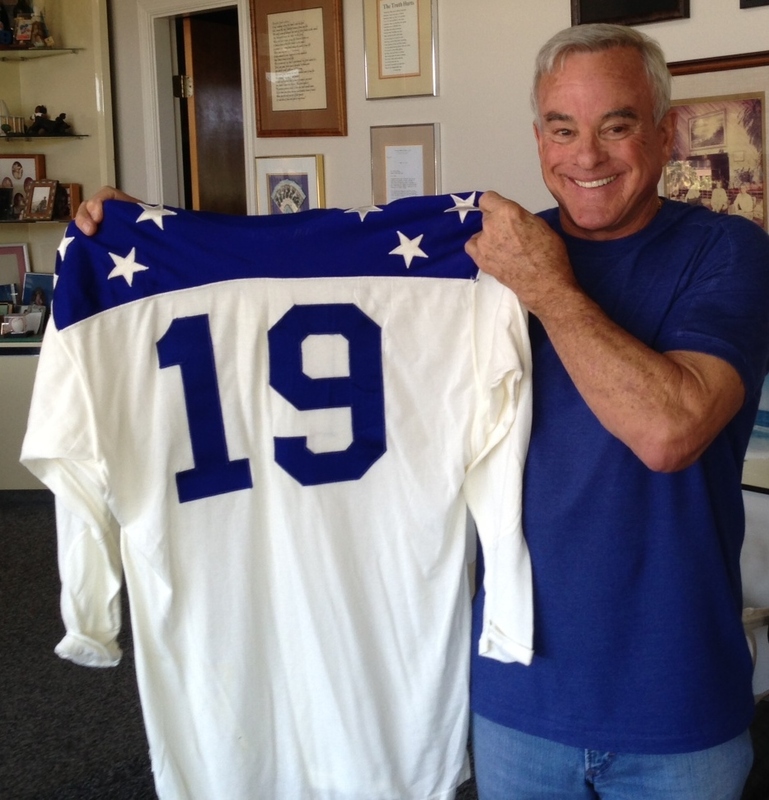 More than the announcement of a new league, the first AFL draft or the opening of training camps, the first regular season game marked the presence of fledgling American Football League. After several weeks of bar tenders, truck drivers, and local tough guys intermingling with legitimate football players at eight camps spread across the country, rosters had been set (somewhat) and the new league was open for business. The first AFL game matched two teams that had somewhat similar backgrounds. Lacking the seemingly unlimited the financial backing of the Houston Oilers, Dallas Texans or Los Angeles Chargers, the Boston Patriots and Denver Broncos were pieced together by hard-working ownership groups that scrutinized every nickel that went out the door. The results were two working-class teams with little known star power, and whose rosters were heavy with players from the local colleges. 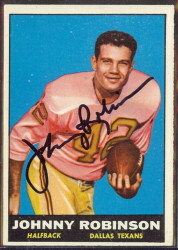 But despite their less-than-flashy origins, the Denver Broncos and Boston Patriots were scheduled to open the AFL season and introduce the nation to “the other league.” Clad in their second-hand mustard yellow and brown uniforms, the Broncos offense stalled on their opening drive and Denver was forced to punt. 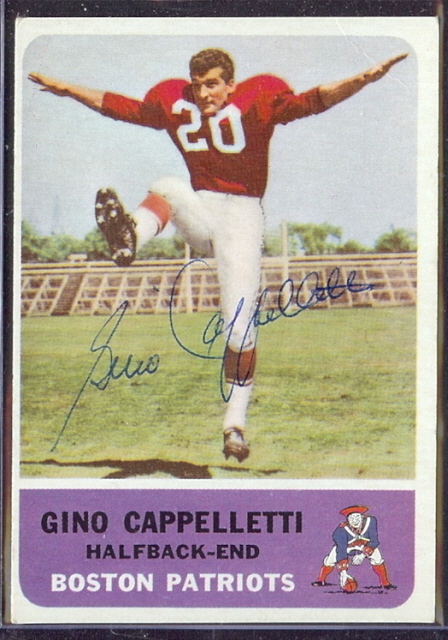 The Patriots began on their own 29-yard line and the men with the tri-corner logos on their helmets drove to the Denver 27 before Gino Cappelletti kicked a 34-yard field goal and recorded the AFL’s first official points. The Broncos countered with the league’s first touchdown. 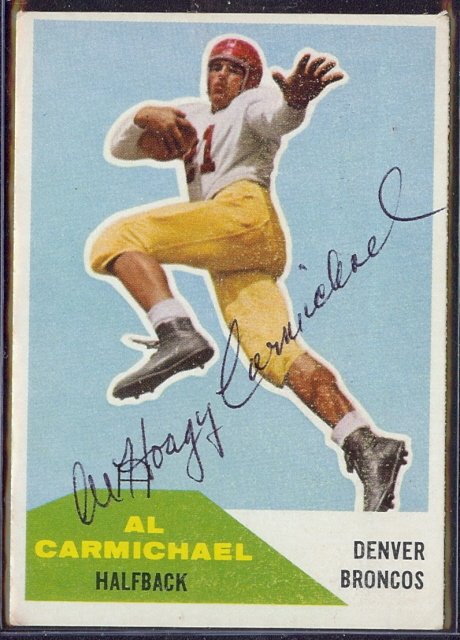 On the opening play of the second quarter, Denver quarterback Frank Tripucka threw to Al Carmichael in the right flat. Carmichael crossed the field and dashed 41 yards into the end zone. The score remained 7-3 going into halftime. 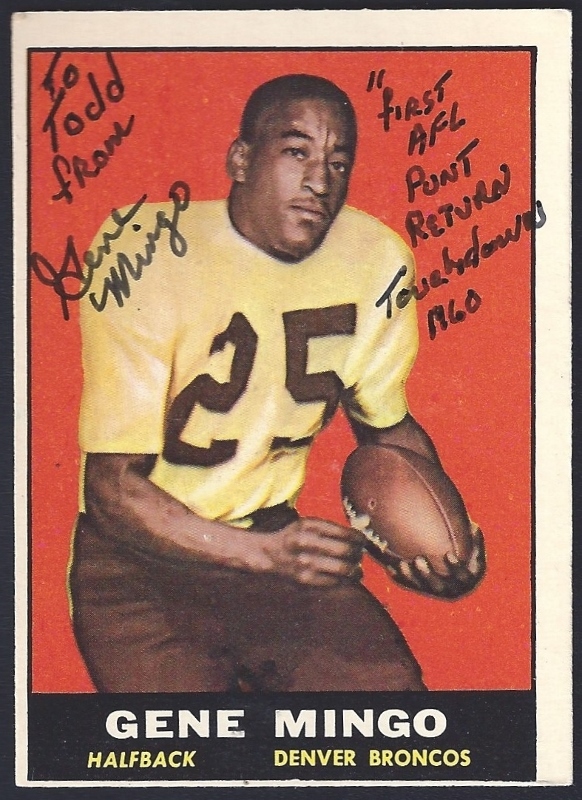 Play resumed and both team were held pointless until Gene Mingo scored the AFL’s first special teams touchdown late in the third quarter when he returned a Boston punt 76 yards for a touchdown. 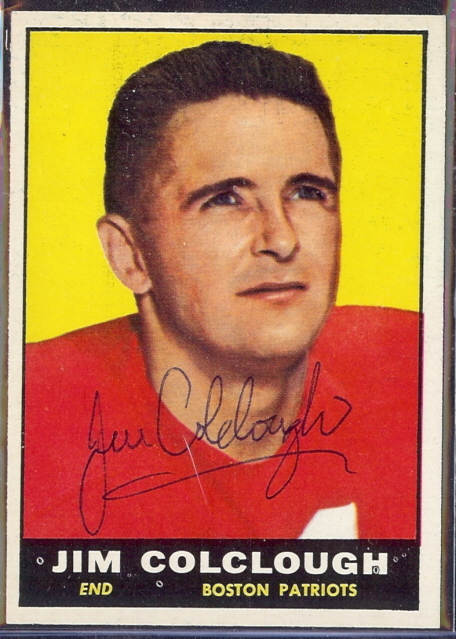 The Patriots responded with a Butch Songin 10-yard touchdown pass to end Jim Colclough. Despite a valiant effort by the Bostonians to take the lead in the fourth quarter, Colclough’s TD was the last score of the game, and the Broncos recorded their first-ever victory with the 13-10 win. 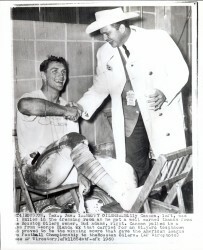 Neither team proved to be a post-season threat in 1960. Despite winning four of their first six games, the Broncos closed the season with six losses and a tie to finish with a 4-9-1 record. Boston fared only slightly better, finishing fourth in the AFL’s Eastern Division with a 5-9 record. In fact, neither team experienced the post-season for several years. 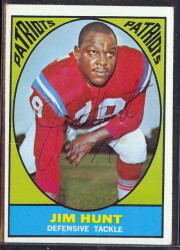 The Patriots made their first playoff appearance in the 1963 AFL championship game, where they were subjected to a 51-10 drubbing by the San Diego Chargers. The Broncos did not find themselves playoff-bound until 1977, when they finished 12-2 and won the AFC championship, only to lose 27-10 to the Dallas Cowboys in Super Bowl XXII.